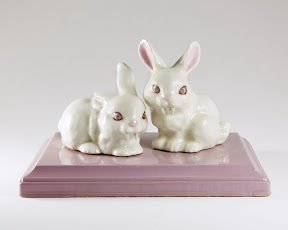 Debra Broz is an American artist from Missouri, who creates porcelain figurines that succeed in being both creepy and filled with whimsy. 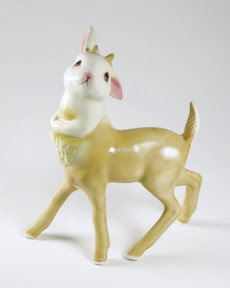 Deers, bunnies, birds, and mice all take on mutations and deformations while remaining adorable. I absolutely love her strange little creatures! These are so awesome! 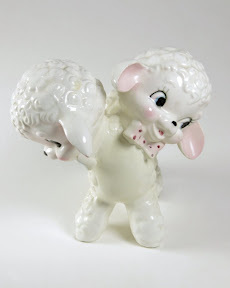 I have seen a few other of these kinds of odd kitchy porcelain artist figurines before and I just love looking at them. They're something so beautifully unsettling about them!